Solar panels convert visible sunlight to renewable electrical energy. Often confused with solar collectors used for heating water or others used for heating air, solar panels are sometimes also referred to as photovoltaic modules (PV) or solar modules. Solar Power Mart and our knowledgeable staff focuses on making it easier for you the Do-It-Yourselfer to design and decide upon the solar panel system for any project, whether it's simple solar science experiment, solar camping gear, a mobile solar panel on an RV solar power system or a full residential solar power system. Solar panels (a.k.a. Photovoltaic or PV modules) vary in length and width, and are often about 5cm thick. 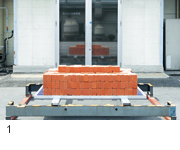 They are generally about 2kg or less, but the larger ones can be cumbersome to carry on the roof. We carry a wide selection of solar panels: framed, foldable, rollable and laminates for the roof. Framed solar panels are the industry standard, most cost effective, and applicable for most home solar panels applications. Flexible / Rollable Solar Panels are lightweight. Many people use these rollable panels on boats because they are durable and can be easily stowed after use. What size solar panels do I need and how many? You'll find solar panels in a variety of wattages. Watts are the main measure of a solar panel, along with nominal voltage . For a rough idea of how many watts of solar you will need, start by dividing your electrical usage (in watt-hours per day) by the insolation in your area. Bump that number up by 30-50% (to cover system inefficiencies) and you'll have an idea of the number of watts of solar panels you will need. If you could still use a little help with the math, please give us a call and tell us how much electricity you are trying to produce (in kwh/month or watt-hours/day) and your location, and we'll help get you started. Most solar panels can be classified as monocrystalline, polycrystalline or amorphous. This is based on the silicon structure that comprises the cell. It's not quite as complicated as it sounds. Basically a 100 watt monocrystalline solar panel should have the same output as a 100 watt polycrystalline panel and a 100 watt amorphous panel. The main difference is the amount of space which the panel occupies. Because the monocrystalline structure is more efficient than amorphous in turning sunlight into electricity, the amorphous panel of the same wattage will be physically larger. By the way, when talking about efficiency of solar panels, keep in mind that solar panel efficiency is still only about 13-18% efficient in turning sunlight into electricity. 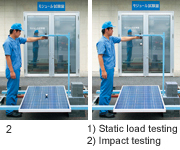 Often amorphous panels are less expensive than the crystalline panels. If space is not an issue, than an amorphous panel could be a great option. Additionally, amorphous panels perform better than crystalline panels in very hot temperatures and are also slightly more tolerant of partial shading. Locating your solar panels - very important! A key factor in the effective use of solar electricity is proper placement of the solar panels. Make sure to locate the panels where they will receive full sunlight between the hours of 10 am and 3 pm. Be sure that the solar panels will not be shaded by shadows from tree branches, chimneys, other structures, etc. Once again - NO SHADE! You will be mounting the solar panels on the roof, the ground or a pole. For more information on the proper placement solar electric panels, please visit our mounting kit . Solar electric panels use the sun's light to generate electricity. They generate electricity during sunny daylight hours and can be used in a system with batteries so that the electricity can be used at other times as well. Also known as Photovoltaic (PV) modules, solar panels are the main component of a solar electric system. (And the main expense!) Along with an inverter, mounting system, batteries and Solar Charge Controller, solar panels can produce electricity to power the energy efficient appliances and lights and appliances in most households. Solar panels themselves generally last over 25 years, and require little maintenance. Many of the first solar panels produced in the 50s are still in use today. Many of the solar panels have a 20 year warranty or more. A common warranty states that the panels will produce at least 80% of their rated power after 20 years. need for a safe installation. If you plan on using just one solar panel in a battery based system, you will need a solar charge controller, and overcurrent protection to protect each major component of your system: solar panels, solar charge controller, batteries, and inverter. If you plan on using more solar panels in your system, you will also need to safely wire the photovoltaic solar panels together and to the charge controller. An easy and safe way to do this is by using MC (multi contact) connectors found in the wiring for solar panel section. This connector connects to the cables coming from the solar panel and can be cut in half to expose bare wire. Combiner box are used to collect the bare ends of the wire from multiple solar panels, and then from the combiner box you can run just one set of wires to the solar charge controller. For each series string of solar panels, you will need an approoriate sized breaker. If after reading all this good stuff you are a little confused, but even more excited about solar energy than ever, please consider one of our hands-on Classes to take you to the next level of knowledge. We also carry other watts size of solar panels (﻿On-Grid and Off-Grid), please kindly contact us for more detail. Solar panel price change rapidly, therefore above mentioned list price subject to change without prior notice. Please kindly check latest pricing at www.scomart.com before placing an order. Cells are laminated with TPT and EVA ensuring longer life and maximum performance. 25 years limited power output warranty. We are now offering Solar Panels in pallet quantity. Buy solar panels in bulk and save! 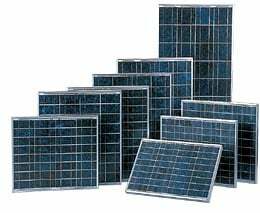 We offer a variety sizes solar panels from smallest 5 Watt to 280 Watt. Pallet quantity varies by different watt sizes, please click on product for more details. If there is any size solar panel that interests you but it's not listed here, please contact us.